Exercise bands are a great tool to use in your home gym for a number of reasons. The main one for me is that I can get a full body workout, targeting lots of muscle groups, with a small, fairly inexpensive set up that also doesn’t take up much space. In fact they’re even perfect for travel! Here’s some of the best resistance bands on the market at the moment in 2018. 1 Who are resistance bands for? Who are resistance bands for? Stretch bands can work for all sorts of people and stages of fitness. They have in the past been associated with therapy and rehabilitation but nowadays you’ll see people using them in the gym, both men and women, and as part of their home fitness routines. These exercise bands are popular in crossfit circles, weight lifters, swimmers, you name it – you’ll probably find that they use resistance training as part of their routines. The reason why the wide range of abilities, is because you can get different strengths of bands. If you’re looking for gentle exercises then focus on getting light bands, or a set that you can gradually build up with. If you want more serious and professional bands, you’ll want to be looking at the heavier ones. My personal thoughts on the whole thing is that no matter what your answer to the above, try and get a set of high quality resistance bands. You really don’t want them breaking on you. Ask me how I know! 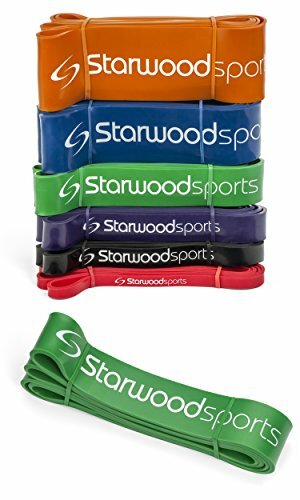 The different types of resistance bands for sale right now fall in to the following categories, and I’ll be looking at the best exercise bands in each one. This set is perfect as ankle resistance bands for leg exercises. There are many exercises you can do of course, but I prefer to use them as a resistance band for legs and have found them perfect for that. 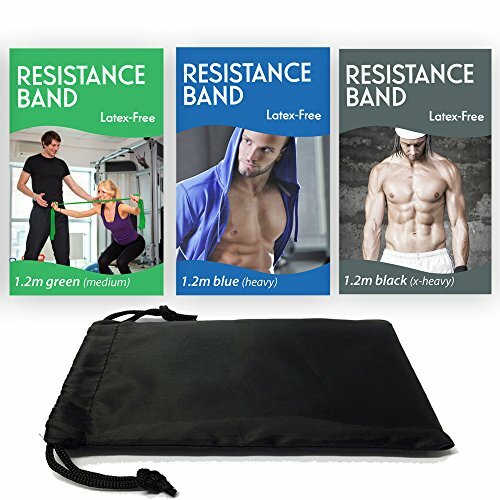 They are small resistance bands so don’t be surprised when you order them and then wonder what on earth you can do with them – they are perfect for doing squats, leg raises and glute exercises and provide a real workout! For the size, this is a fantastic little kit and if you’re looking for something to take traveling with you, this plus a longer flat band would be a great compact gym in a bag! 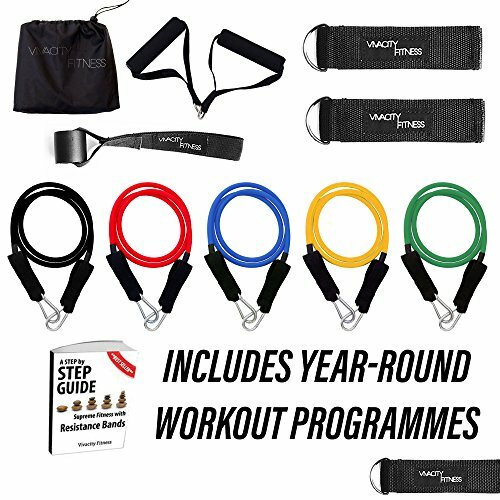 It’s a really reasonable cost for what you get – 4 different strength bands and you also get an exercise guide and storage bag as well. To see more reviews for this item and current price click here. I use my flat resistance band daily to increase my strength and they’re a real asset to a home gym. These flat exercise bands come a variety of strengths – I tried a light version but felt that I needed much more resistance so I now have a much heavier one. This set comes with three different strengths and would be perfect as a starter resistance bands set while you get used to how to use them. They’re much longer than the small loop bands I mention above, normally being about 1.2m in length. These are also latex free bands so if you have an allergy that’s useful to know. The pull up assist bands are longer, stronger loop bands. They are excellent as crossfit resistance bands and can really improve your strength training. If you’re struggling to get pull ups done without any help then these bands might just be what you need to increase your strength in that area and develop muscle memory. They are also excellent to use for power lifting exercises such as bicep curls. Be aware that these don’t come as a set and are sold individually. Go for a heavier resistance if you need more help doing pull ups. To see more about these bands click here. Exercise bands with handles were my first introduction to using these for resistance training many years ago and as I mentioned above, why I always advocate going for good quality resistance bands. After a small amount of time my first set broke while working out and nearly caused an injury! Always read reviews about sets if you can to see how they have held up to regular use. This set comes with a number of bands for different strength, handles, door anchors and ankle straps to give a full workout. It’s a high quality set and as such is a best seller. Overall there’s a lot to consider when choosing home gym resistance bands. Before you buy be sure you know what exercises you want to do with them and be sure of the different types so that you don’t get a shock when a small set arrives! 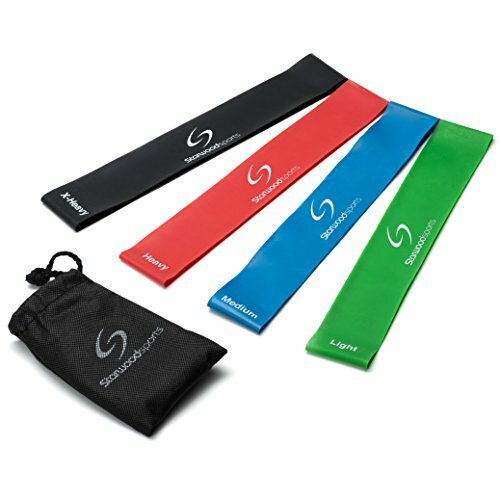 No matter which kind you buy, I think that these fitness stretch bands are excellent value for money and should almost certainly be a part of everyone’s home gym kit. 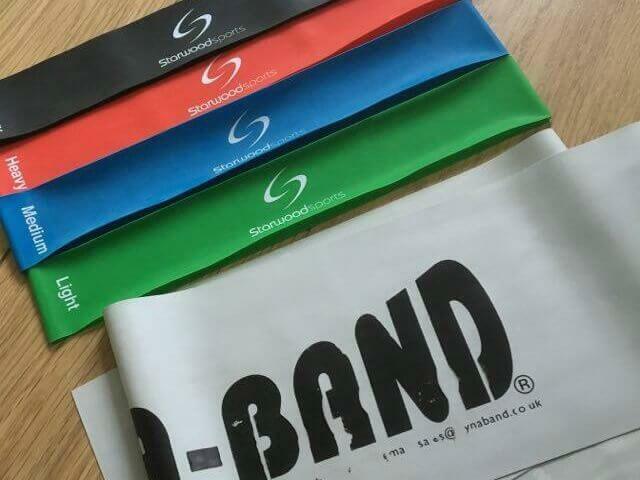 If you’re looking for some ideas for exercises to do with the exercise bands check here.